You’ve perused our designs and have a few favourite styles in mind for your home, but now you want to know is Karndean suitable for my family? Will it stand up to the demands of our busy household? Is it safe for my toddler and pets? So, we’ve put together our top five reasons why you can have it all with a stylish and practical floor that will look stunning for years to come, whatever life throws at it. From the moment they find their feet as tiny toddlers, youngsters are prone to trips and falls. Our products offer commercial grade slip resistance ratings to help reduce the number of trips caused by slippery surfaces. 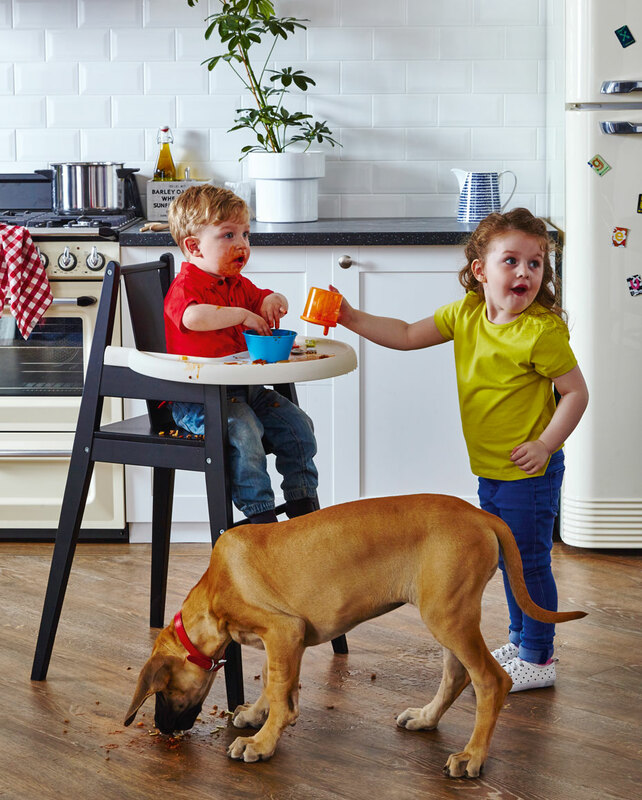 While they authentically replicate wood and stone’s natural look and feel, there’s no risk of splinters, cracks or chips from our products, so you can rest assured that your family has a safe and steady surface on which to sit, walk and play. 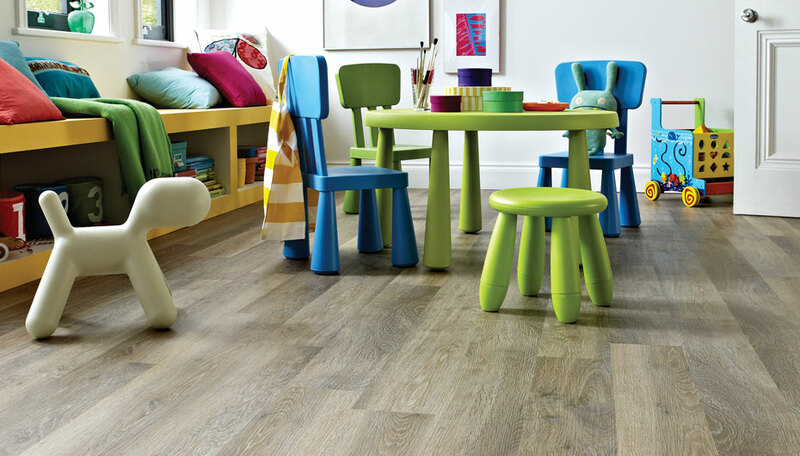 Should they take a tumble, our flooring offers a much gentler impact than the likes of ceramics or timber. They’re also warmer and more comfortable so you can leave your mini-me, or even your pet, sat playing for a while and they’ll be quite content. Additionally, all our products are suitable with underfloor heating for extra cosiness. You also deserve a bit of peace and quiet, and flooring can play big role in providing an environment that works for everybody. Our Korlok and Karndean LooseLay collections both offer enhanced acoustic benefits reducing noise transfer to rooms below. It can make a big difference when compared against engineered wood and laminate. The luxury and comfort of our flooring is not at the expense of strength – it’s durable, hard wearing and can cope with the demands of everyday living. 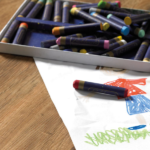 Like most families, you probably have all sorts of toys lying around – many of them with wheels – but you don’t need to panic because our products feature a unique K-guard+ surface technology to help resist against scuffs and stains. They also resist indentation. In the unlikely event a section of the floor does get damaged, it is possible to individually lift any of our gluedown or LooseLay planks and tiles and replace them. You didn’t have children to spend all day every day cleaning up after them. Especially as they get older and start joining clubs and after school groups, life gets too hectic to have a high maintenance cleaning regime. 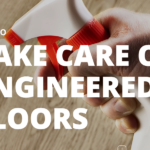 Fortunately, our flooring is easy to clean with a simple sweep and mop – it does not require frequent sanding, staining or lacquering, and the non-porous surface means germs, dirt or bacteria won’t be able to find any cracks to seep into and harbour. If any members of your family suffer from allergies, our flooring is an ideal solution. You can rest assured that our flooring is fully certified to Global GreenTag™ and all adhesives are free from harmful emissions. Ensuring the lowest impact on the environment for future generations, this certification means that most of our products have been assessed and certified to comply with low omitting volatile organic compounds and indoor environmental air quality.